The Malleus Maleficarum (The Witch Hammer), first published in 1486, is arguably one of the most infamous books ever written, due primarily to its position and regard during the Middle Ages. It served as a guidebook for Inquisitors during the Inquisition, and was designed to aid them in the identification, prosecution, and dispatching of Witches. It set forth, as well, many of the modern misconceptions and fears concerning witches and the influence of witchcraft. The questions, definitions, and accusations it set forth in regard to witches, which were reinforced by its use during the Inquisition, came to be widely regarded as irrefutable truth. Those beliefs are held even today by a majority of Christians in regard to practitioners of the modern "revived" religion of Witchcraft, or Wicca. And while the Malleus itself is largely unknown in modern times, its effects have proved long lasting. At the time of the writing of The Malleus Maleficarum, there were many voices within the Christian community (scholars and theologians) who doubted the existence of witches and largely regarded such belief as mere superstition. "Whether the Belief that there are such Beings as Witches is so Essential a Part of the Catholic Faith that Obstinacy to maintain the Opposite Opinion manifestly savors of Heresy." 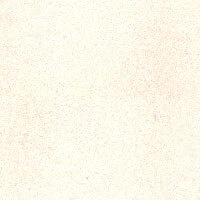 The immediate, and lasting, popularity of the Malleus essentially silenced those voices. It made very real the threat of one being branded a heretic, simply by virtue of one's questioning of the existence of witches and, thus, the validity of the Inquisition. It set into the general Christian consciousness, for all time, a belief in the existence of witches as a real and valid threat to the Christian world. It is a belief which is held to this day. It must be noted that during the Inquisition, few, if any, real, verifiable, witches were ever discovered or tried. Often the very accusation was enough to see one branded a witch, tried by the Inquisitors' Court, and burned alive at the stake. Estimates of the death toll during the Inquisition worldwide range from 600,000 to as high as 9,000,000 (over its 250 year long course); either is a chilling number when one realizes that nearly all of the accused were women, and consisted primarily of outcasts and other suspicious persons. ...anyone who did not fit within the contemporary view of pious Christians were suspect, and easily branded "Witch". Usually to devastating effect. It must also be noted that the crime of Witchcraft was not the only crime of which one could be accused during the Inquisition. By questioning any part of Catholic belief, one could be branded a heretic. Scientists were branded heretics by virtue of repudiating certain tenets of Christian belief (most notably Galileo, whose theories on the nature of planets and gravitational fields was initially branded heretical). Writers who challenged the Church were arrested for heresy (sometimes formerly accepted writers whose works had become unpopular). Anyone who questioned the validity of any part of Catholic belief did so at their own risk. 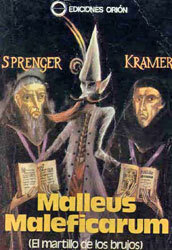 The Malleus Maleficarum played an important role in bringing such Canonical law into being, as often the charge of heresy carried along with it suspicions of witchcraft. It must be remembered that the Malleus is a work of its time. Science had only just begun to make any real advances. At that time nearly any unexplainable illness or malady would often be attributed to magic, and thus the activity of witches. It was a way for ordinary people to make sense of the world around them. The Malleus drew upon those beliefs, and, by its very existence, reinforced them and brought them into the codified belief system of the Catholic Church. In many ways, it could be said that it helped to validate the Inquisition itself. While the Malleus itself cannot be blamed for the Inquisition or the horrors inflicted upon mankind by the Inquisitors, it certainly played an important role. Thus has it been said that The Malleus Maleficarum is one of the most blood-soaked works in human history, in that its very existence reinforced and validated Catholic beliefs which led to the prosecution, torture, and murder, of tens of thousands of innocent people. The lasting effect of the Malleus upon the world can only be measured in the lives of the hundreds of thousands of men, women, and even children, who suffered, and died, at the hands of the Inquisitors during the Inquisition. At the height of its popularity, The Malleus Maleficarum was surpassed in public notoriety only by The Bible. Its effects were even felt in the New World, where the last gasp of the Inquisition was felt in the English settlements in America (most notably in Salem, Massachusetts during the Salem Witch Trials). It is beyond the scope of this article to adequately examine the role of the Malleus in world history, or its lasting effects. At the very least, The Malleus Maleficarum (The Witch Hammer) offers to us an intriguing glimpse into the Medieval mind, and perhaps gives us a taste of what it might have been like to have lived in those times. 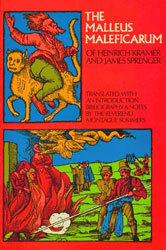 The Dominican monks Heinrich Kramer and James Sprenger assembled many fairy tales and magic stories, nightmares, hearsay, confessions and accusations and put this all together as factual information in what became the handbook for the witch hunters, examiners, torturers and executioners, called the Malleus Maleficarum, a title which was translated as Hammer of Witches. It was published in 1487, but two years previously the authors had secured a bull from Pope Innocent VIII, authorizing them to continue the witch hunt in the Alps which they had already instituted against the opposition from clergy and secular authorities. They reprinted the bull of December 5, 1484 to make it appear that the whole book enjoyed papal sanction. Anybody with a grudge or suspicion, very young children included, could accuse anyone of witchcraft and be listened to with attention; anyone who wanted someone else’s property or wife could accuse; any loner, any old person living alone, anyone with a misformity, physical or mental problem was likely to be accused. Open hunting season was declared on women, especially herb gatherers, midwives, widows and spinsters. Women who had no man to supervise them were of course highly suspicious. It has been estimated by Dr. Marija Gimbutas, professor of archaeology at the University of California, that as many as 9 million people, overwhelmingly women, were burned or hanged during the witch-craze. For nearly 250 years the Witches’ Hammer was the guidebook for the witch hunters, but again some of the inquisitioners had misgivings about this devilish book.